While going sideways, of course. Winter officially began just a few weeks ago, on December 21st. But quite a lot of the Norther Hemisphere has been seeing snow for much longer. And every time an individual who sees the snow and who also happens to own one of the most iconic rally cars of recent times, something happens to them. 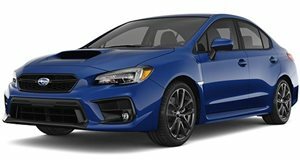 They become seized with an uncontrollable desire to go out and slide their car around in the snow, as you will see the 2015 Subaru WRX in this video doing. Except, of course, the people doing this don't always know how to handle the car in these conditions, especially when they clearly haven't owned it that long, and sometimes bad things happen.